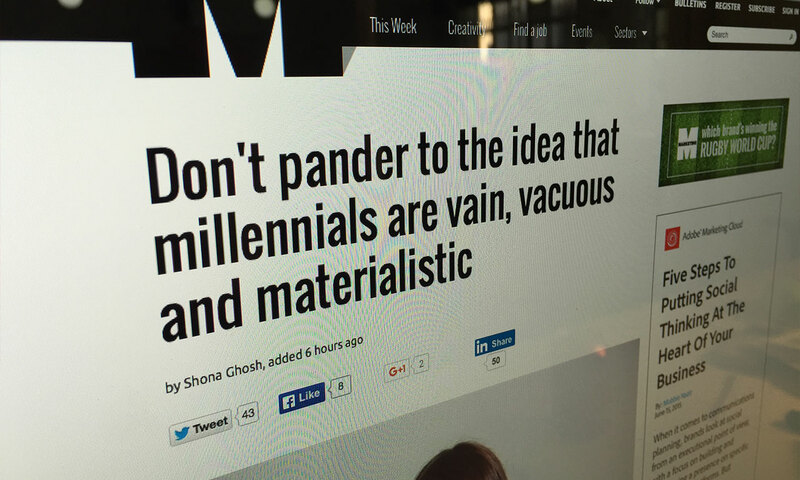 "Don't pander to the idea that millennials are vain, vacuous and materialistic" says Marketing Magazine in their coverage of our brand new research tracking project, Youth State. Delving into core findings from the report such as behaviours lined to *materialism* and *family matters*, Marketing have published our top findings for brands to take away with them. Youth State is a tracking study, launched on 12th October 2015 that explores youth culture in the UK. It reaches deep inside the heads of 16-24 year olds every six months to find out what this complex demographic is really thinking. The first report focuses on the subject of identity. To read the full report for free Click Here.